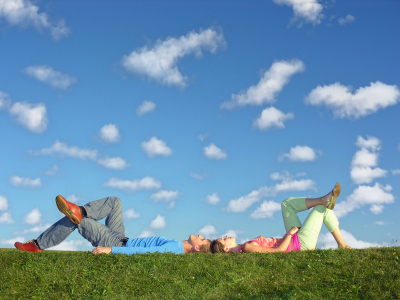 The 4-Hour Workweek: Could You Really Create Your Own Dream Biz? The Dream Life Project is currently closed. Check back soon for the next release date! 7 years ago I was working full time as a senior personal training manager for Fitness First. I was proud that I’d climbed the ladder in my industry of choice, that I was earning good money and had a good job title at just 25 years old. Motivational quotes adorned my walls and we all did our best to keep our spirits up and focus on the good things (like awards! And recognition!) rather than on the occasional grind of it all. It was easy to let myself believe that I was making a true and lasting difference to something that mattered for me as well as for the bottom line of the company. Easy, because the job really did involve a lot of stuff that I enjoyed, was good at, and that matched my values. As I’m sure parts of your job or maybe even all of it does right now. And for a while there, I was fine with the hours I was putting in. 60+ hours per week? Why not! It’s not as though I had a life outside of my work. My husband was also working for Fitness First in club management, and so our lives both in and out of the gym revolved entirely around, well, the gym. We got to travel on expenses for management training a fair bit, partied it up with our workmates, and thought nothing of doing overtime or attending meetings in evening or on weekends. It’s the price you pay to do well at your career, right? Fast-forward to now and if I thought I ever again in my life would have to go and work for somebody else I’d be absolutely horrified and probably would tell you I’d prefer to go and live with my parents again and exist on a minimum wage. I’ve created my dream business, a successful if sometimes challenging one, not because I am naturally gifted at making a living online and not because I had any sort of inherent understanding of how to even set up a business. No, I’ve created it and am continuing to create it because I believe that the way we are conditioned to fight for our own survival by sacrificing 8+ hours of our lives every single day is a complete joke. As a mother I am now even more determined that nobody will ever control my schedule except me, but even before pregnancy was on the cards I knew that no matter what it took and no matter how many times I had to fall down trying I was going to be successful working for myself. It’s an extremely exhilarating feeling to be writing this and knowing that I’ve achieved my goal, and I say that even though there are parts of my business (like my book keeping!) that I’m only just learning to do without wanting to rip my hair out in trying, and even though there are an absolute myriad of things on my list that I have not even yet attempted in my biz. But I don’t care about the things that haven’t yet happened because each day when I wake up I know that I’m creating my future, the one that is exactly how I want it to be and that in fact that future – that dream – is my current reality already. how would you feel about making a full-time living, doing what you love, in under 20 hours per week? As I said, I’m no natural business guru. I definitely have always had an entrepreneurial spirit and I am a natural motivator and influencor of other people. Those innate characteristics have been a crucial part of my success. But for each natural trait or tendency I have that’s served me well in business there are others that I lacked and had to work hard to learn and master. Or – now – outsource! 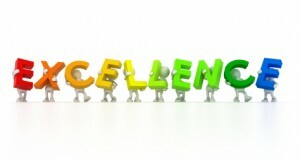 the secret of succeeding in business! The truth is that all you need to be successful in business is determination and an incredible desire to succeed. I don’t mean that this will automatically bring you riches and your own version of the 4-hour workweek! Of course there will be challenges, you may have to change tactics, learn new things, change some beliefs. It took me 3 years online before I made a cent. It also took me that same period of time to truly work out what I wanted to be doing specifically, rather than just generally. I know now that the two things are connected. And through all the things I’ve done, not done, learned and had to throw out the window along the way I’ve figured out a system for being successful in business no matter who you are or what you want to do. It’s a system that I apply repetitively in my own business and one that I’ve used with countless mentoring clients who’ve come to me for help in getting started or furthering their own business. I hope you won’t think me arrogant, but I think the fact that so many friends and colleagues have asked me for business help when I’ve never before advertised it as something I do says a bit about my knowledge in this area! I just want to thank you for your mentoring and support over the last couple of years. I look at how my business has developed and snowball into what it is today and I know that meeting with you has been a huge factor in this. On both a personal and business prospective you taught me to expect more from myself while also using techniques that taught me not too hard on myself at the same time. It doesn’t matter at all if you’ve never even thought about going into business for yourself, or if you’ve thought about it but truly have no idea where to start or no confidence in your ability to succeed. I know I can help you get started successfully. I’m not talking about a multi-million dollar empire or company here, although that may be your eventual goal! I’m talking about teaching you, sharing my systems and strategies exactly as I have for my mentoring clients, motivating you to create a business based around something that you are naturally great at which other people struggle with. Something that you love to do and are passionate about (we’ll find it!) and that you can make a real proper living from. And you better believe I’ll show you how to do it in 20 hours a week or less ;), but I’ll also show you how to get it off the ground in 2 hours per week or less. The 20 hour thing I mean for when you get to quit your job; when you’re actually creating a living from your fabulous biz! It kicks off on Monday July 16th and registrations close on Wednesday the 11th! Today, I want to reveal exactly what the ‘biz’ system involves! If you missed the body part , I blogged about it yesterday. Week 1: Business Brainstorm. I’ll teach you the process to go through to match your passions and talents with creating a business that makes a difference AND makes money. Not sure what your passions or talents are? I’ll show you exactly how to figure ’em out. In this week I will also show you how you can make your first dollar from your brand-new or revamped biz. For real! I spent 3 years not making money in my biz so that you can learn from my mistakes and never have to do that! Week 2: Your Very First Product Or Service! In just a week you will learn how to get your first product or service up and running. I’ll take you by the hand and show you how to create something that works, that is fun for you, and that helps your new customers. And how to do it fast! You seriously don’t have to spend months in planning to get a business started. You just have to start! And then fine-tune along the way. Week 3: Getting Online. We’ll get you up and running with a beautiful online presence, in just a few hours and for free! If you already have a site, this is a great week for learning the must-haves of a successful blog or website. The simple stuff that works and will put you at the top of your niche or industry. Week 4: Marketing Bonanza. Learn how to get the word on what you do out there effectively, and without ever having to resort to sleazy marketing tactics. Learn how to truly make a connection with your customers or readers, how to build relationships that last and will help your business to grow like a rolling ball gathering speed, faster each week. Week 5: Create a 3-month plan. Now that your business is up and running we’ll draft out a simple and changeable 3-month plan to keep you on track and focused one step at a time. It’s all about making it natural and making sure you spend your valuable time on the stuff that really matters. And don’t forget you actually get a FREE copy of my new book, The Dream Life Project, which is a handbook giving you my stories and strategies on creating your dream body, biz and life. You get this for free, normally for sale on Amazon, just for joining the Dream Life Project Bootcamp! Total minimum time commitment: 1-2 hours per week to start creating your dream business and making money from it! Of course if you love extra motivation and support you may find yourself spending a little extra time in our private Dream Life Project Bootcamp Babes forum, or jumping onto one of my Q&A teleseminars! 1-2 hours per week? that’s all my business mentoring clients started with! I just wanted to drop you a quick line to express my gratitude for all the knowledge and inspiration you’ve given me over the years. I’ve been thinking about what started this journey off for me…and it was an appointment I had with you 5 years ago to do my Metabolic Typing . Sure, I was already on the journey of healthy living and had been influenced by my mum to live more ‘holistically’, but if it wasn’t for my friend in HK who suggested I look into MT for my digestive issues, which led to finding you, which led to doing my PT course, which led to being your apprentice at FF, I wouldn’t be where I am today…and for that I am extremely grateful and appreciative. 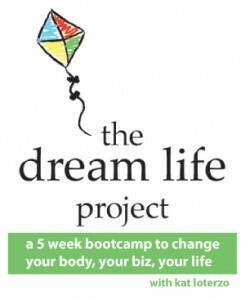 the dream life project bootcamp: grab your place now! Tomorrow I’ll be sharing my step-by-step system to create the life of your dreams. Everything we’ll be covering and implementing throughout the 5-week Dream Life Project Bootcamp. You can wait till then, or if you’re already completely pumped from what you’ve just read about getting your dream biz today (and your dream body yesterday), and if you know that now is the time to seriously commit to transforming your life then you can jump in feet first and grab your spot now. You can spend the next few months, the next year or 5 years or the rest of your life wondering if you really could create the dream lifestyle where you get to make a living in just a few hours per day and by doing what you love – or you can stop thinking and start actually doing. It truly can be that easy. Once you make up your mind and start moving forward, and especially once you have the right support to push you when you get stuck, you truly can’t help but succeed. Challenges will become nothing in the face of your determination, and achievements and inner (and outer!) 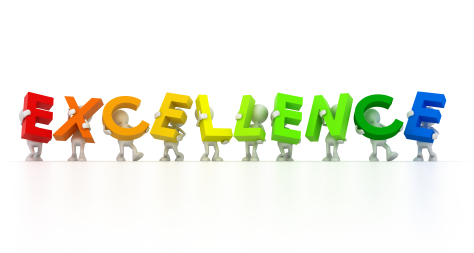 rewards that you previously only dreamed about will become the norm. So join me. It’s going to be an awesome 5 weeks. And how darn fabulous are you going to feel living in and creating your dream biz day after day?! Are You Suffering From Dream Fatigue?